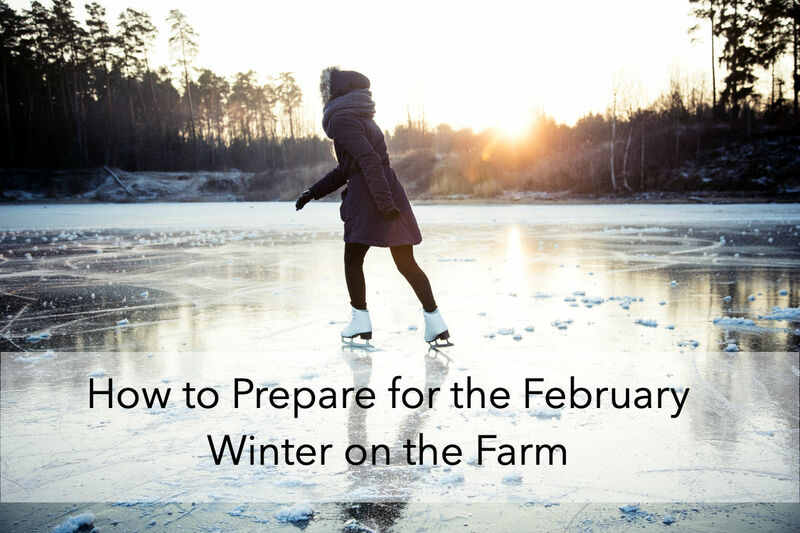 How to Prepare for the February Winter on the Farm | Hurdle Land and Realty Inc. While the South may not be synonymous with a White Christmas, we still get our fair share of wintery weather. And in our neck of the woods, the coldest part of the year happens from mid to late January and on through February. For most, winter just means turning up the heat and adding a blanket or two at night. Out on the farm, however, there is quite a bit more preparation required to get things in order before the frigid temperatures hit. You’ve got to think about more than just yourself when running a farm, as there are animals and crops that need attention too. When it comes time to prep your farm for the cold February winter, we’ve got a pretty easy guide that is sure to keep you and your farm cozy and warm. How frustrating would it be to go through the time it takes prepping your farm for the winter, only to find at the last minute several repairs that need to be done? Not only would you have to stop your winter prep in its tracks, you would also have to start all over again once the repairs are complete. As such, going through the house, barn, outbuildings, and your property in its entirety to determine any needed repairs before doing anything else. This can include roof work to prevent damage from heavy snowfall, checking water lines to prevent bursting in below freezing temperatures, servicing your generator, and reinforcing your perimeter to ensure no animals go missing during a snowstorm. The safety and comfort of the animals on your farm, livestock as well as the family pet, should be considered as important as yours. They can’t be expected to stand outside in the elements while you and your family get to stay inside where it’s dry and warm. Prepping their shelter, providing ample food, water access, and bedding are key to keeping the four legged family members on your farm happy this winter. Customizing the bedding of your animals before the temperature drops can play a huge part in their level of comfort this winter. With winter comes snow and rain, and in those cold temperatures your animals can get pretty uncomfortable. Adding a layer of sawdust or sand can help absorb moisture while mixing in straw and wood shavings will keep them dry and clean. One things most people tend to forget is how much time we all end up spending indoors during the colder months. The kids get bored and the parents get frustrated with the constant whining for something fun to do. This is why planning entertaining indoor options in advance will prevent cabin fever from setting in. Stock up on classic board games to play together as a family, take the kids bowling, build a snow fort or build a snowman family after a heavy snowfall, and if you’re lucky enough to have a pond that’s frozen solid you could even spend a day ice skating. There are plenty of ideas out there to keep everyone entertained even if you get snowed in for several days. Spending your cold winters in the city may be easier than preparing a farm for the harsh winter, but the end result will always be worth it. There is something to be said about waking up and looking out the window to a pristine layer of fresh white snow and the promise of fun it brings for the family. If you’ve ever thought about moving out to the country, let us help you get started. There are plenty of owner financed land options out there that could be perfect for your very own winter wonderland!